Grow your business by using our template. 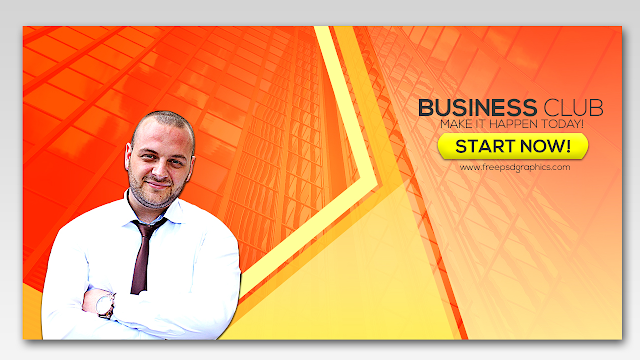 Our new design is a Corporate and Business facebook post banner for advertising. The color used in the template is orange and yellow with dark gray font color. This is great for any kinds of business platfrom specially in the field of marketing online. Facebook will approve this 100%. This is fully editable PSD in adobe photoshop. Just download and open the file, all the text and colors are changeable. Changing image is easy, double click the image in photoshop layer and edit via smart object. We also include the link of the image downloaded from pixabay. The size is 1200px x 628px with 72dpi and we used RGB colors. Our template is Free for Personal and Commercial use.